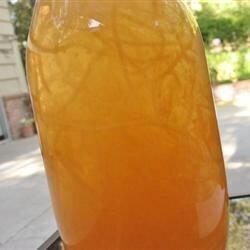 "This cantaloupe drink is easy to make and very refreshing, especially on a hot, sunny day. It's a real crowd-pleaser too!" Scrape the cantaloupe meat lengthwise with a spoon or a melon baller and place in a punch bowl; add the water and sugar. Mix thoroughly until all the sugar is dissolved. Chill with the addition of plenty of ice cubes. Cool down with icy melon sangria! I have made this before and I have to say it is AWESOME! Anyone who has not tried this yet, certainly MUST! I am so happy to find this on AllRecipes!